You may not be familiar with bonarda (this is my first experience with the grape) but it’s actually the second most planted variety in Argentina. I was intrigued by the chance to try a new grape and I was delighted to find that it’s downright delicious. Bonarda is very late ripening and needs a warm climate, like that of Argentina or its native Italy, to develop fully. The Tupungato mountainside where it is grown is the perfect environment for bonarda because it has long warm summers but it also has cool nights. This allows the grape to ripen while retaining freshness. 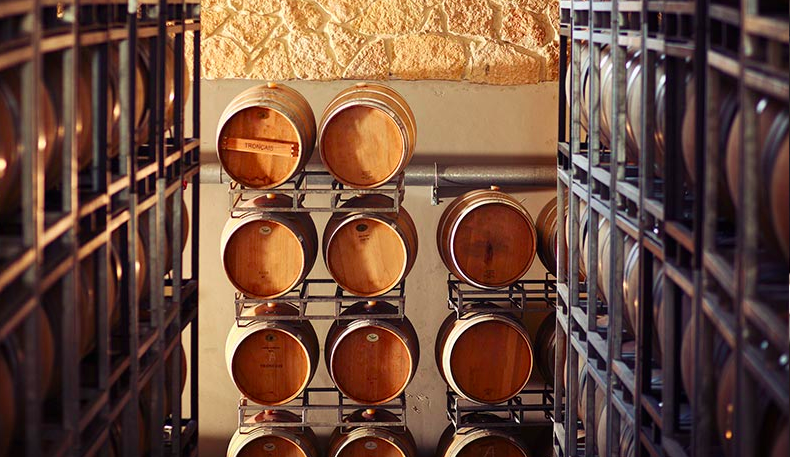 The winemaking is designed to accentuate that freshness along with the true varietal flavors. It is fermented and aged without any use of oak and is released early. The result is a wine with a distinctly smoky character that reminds me of syrah, though the fruit is much more lush and the tannins are less intense. For food pairings, look no further than Argentinian style rotisserie chicken or steak served with chimichurri. All this meticulous work results in a magnificent wine, a field blend of old vine zinfandel, petite syrah, carignan, and mataro. The Lytton Springs is stylistically similar to wines that were common before prohibition. Upon first opening, the aroma is very tight with an intense note of graphite. As it has time to breath a myriad of aromas and flavors are revealed; cedar, tobacco, cherry cola, ripe and dried strawberries, cocoa, red apple, and pear notes are all present. This is one of the most complex wines I’ve tasted in quite some time. On the palate, it’s rich without being heavy, with strong but elegant tannin and a finish that seems to go on forever. What I like even more about this wine is its ability to work with many different dishes. I enjoyed it with General Tso Chicken which I usually find too spicy for red wine but was a delightful match. I encourage you to try it with something unusual. 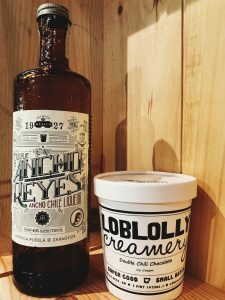 We’re excited to announce a new line of alcohol flavored ice creams from Loblolly Creamery! 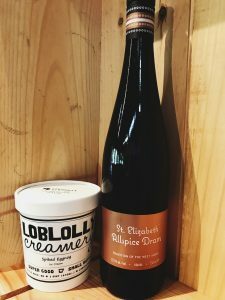 We’ve been working with our friends at Loblolly Creamery to create seven amazing ice creams and sorbets flavored with some of our favorite wines, spirits, and liqueurs. From now until the end of the year, we’ll be selling these small-batch flavors exclusively from our store, with a new flavor debuting every other week. There are lots of wine ice creams currently on the market, but after doing some research, we couldn’t find a brand that delivered the flavors we wanted . . . so we decided to make our own! 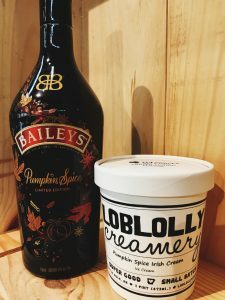 Loblolly Creamery is already known for making some of the best ice cream in Arkansas, so when it came time to find a partner, they were a natural fit. After collaborating with their experts, we came up with a range of flavors that you’re going to love. Check them out below! 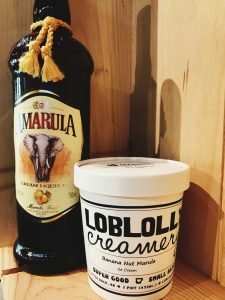 Amarula, the delicious liqueur made from the fruit of the African Marula tree, is combined with nuts and fruit for a delicate and sweet flavor. It just wouldn’t be fall without pumpkin spice! 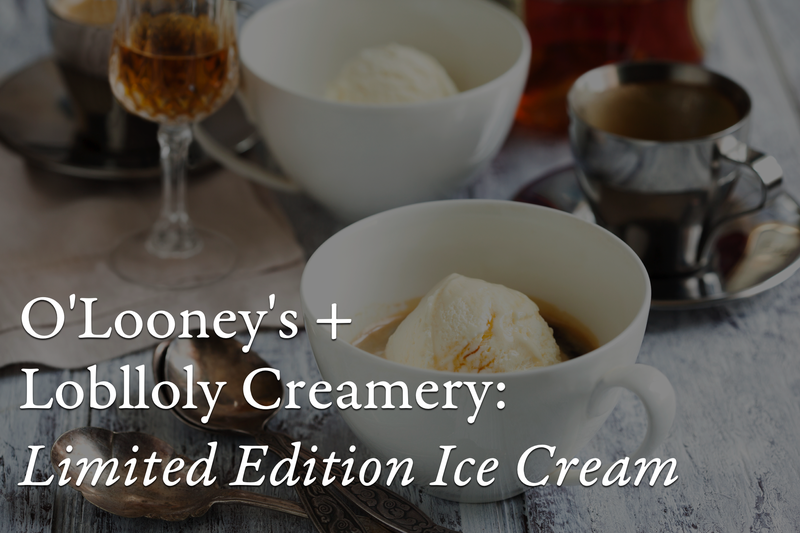 We’ve combined with delicious ice cream Bailey’s Irish Cream to create an instant classic. 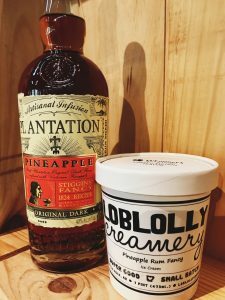 It may be cold outside, but this ice cream has us feeling tropical with its combination of Plantation Pineapple Rum, pineapple chunks, and sweet vanilla cream. We’ve added St. Elizabeth’s Allspice Dram to classic eggnog for a one-of-a-kind, Christmas inspired treat. We couldn’t think of a better cocktail to turn into a sorbet than the classic Negroni. 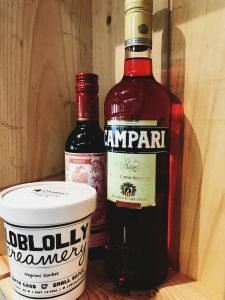 Our sorbet version uses Dolin vermouth, Hayman’s Gin, and Campari. With just a hint of orange garnish, of course! You can’t celebrate New Years without bubbles! 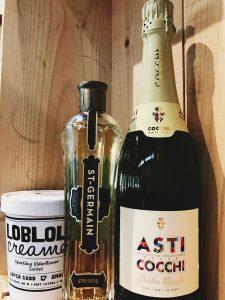 That’s why we’ve combined Asti Cocchi, a beautiful sparkling wine from Italy, with the delicate St. Germaine elderflower liqueur. It seems almost too appropriate for us to start our exploration of French wine with Bordeaux. The name is synonymous with rolling green vineyards, majestic chateaux, and high quality, ageable wines. 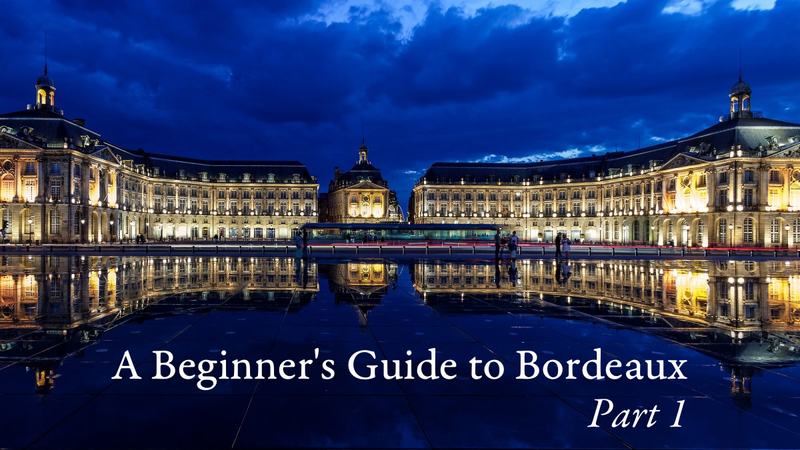 As Bordeaux lies on France’s Atlantic coast, it naturally became a bustling port city, with ships regularly stopping on their way to and from other European ports. This ease of trade is one of the major reasons why Bordeaux wines are known the world over. In the earliest days of the wine trade, barrels labeled Bordeaux were already being singled out as being of above average quality. The Bordeaux region was first loved for its sweet white wines from the area Sauternes. In the 1700’s, Thomas Jefferson was a huge fan of these wines, and as a whole, sweet wine was more popular than dry wines. Bordeaux’s red wines didn’t begin to become the superstars they are today until this 1800’s. Their popularity was bolstered by a set of laws and decrees that codified the best producers of the region, by ranking them into groups of 1 through 5. This is now called the “1855 Classification,” and it’s still extremely important today. We’ll talk a little more about this in next week’s “Part 2” post. Cabernet Sauvignon – This intensely flavored and complex grape is the second most widely planted in Bordeaux. It provides structures to wines, especially those of Bordeaux’s Left Bank. Merlot – The most widely planted grape in Bordeaux, merlot features prominently in all red Bordeaux wines where it adds depth and roundness to the blend. Cabernet Franc – A wonderful grapes that can add aromas of spice and flowers to blends. It plays an important part in the wines from Bordeaux’s Right Bank. Malbec – Sometimes called côt, this grape is often added in tiny amounts to blends to add depth and nuance. Petit Verdot – Very little petit verdot is planted and used in the wines of Bordeaux, but even a small amount can add a rich color and intensity to the blend. Sauvignon Blanc – A light and crisp wine with notes of green herbs and citrus. This is almost always blended with semillon. Semillon – Sometimes known for its strong notes of lanolin, this is blended with sauvignon blanc to add structure to long aging white blends. It’s also the main grape in the sweet wine called Sauternes. The leaves are turning and Halloween is just around the corner! Check out October’s frighteningly good staff picks! As I study for my Certified Sommelier exam, I drink a lot of wine. So much so that it stops being grape juice and starts becoming…something else. I recently opened a bottle of 2012 George Vernay syrah. It’s grown on this tiny hillside in the commune of Condrieu on the banks of France’s Rhone river. There’s a scarcity of essence to it, a return to the base elements of life, a taste of aloneness. It called me back to the nights of autumn in my childhood when I find myself, late at night, still under the deep dark blanket of the sky. We had no neighbors, no light pollution, so I could look up at the deep and wide band of light that crosses our lives connecting us to a time, to maybe others, of another age, another universe. It was a humbling sight, like this wine. A visual representation of us at our most simple elements. Carbon, the sanguine taste of iron, petrichor, smoke. Carl Sagan once said of all of us “we are star stuff’,” and with each glass it was like I was drinking eternity, drinking the vast nothingness of space, drinking ourselves. 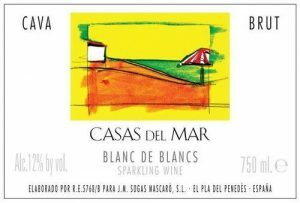 If you like sparkling wines and haven’t tried Cava, you need to get your act together. It’s made in the traditional methode champenoise, delicious, and a great value. This particular producer uses grapes from vines up to 70 years old, which adds to the quality and complexity of the wine. The great price of this product makes it perfect for cocktails, mimosas, or Wednesdays. Montes Spring Harvest sauvignon blanc is a peculiar wine with a tropical passion fruit nose with hints of bell peppers. The pepper taste really comes through on this wine along with the typical herbaceous undertones for which sauvignon blanc is known, creating a complex white wine to end your summer with. This hidden gem was recently unearthed, lost for years only to be discovered at the perfect moment for drinking. On the nose the fruit is subtle and ripe, with earthy aromas prevailing. It has beautiful notes of truffle, leather, and forest floor. On the palate, the wine is light and elegant thanks to the extended aging in bottle. 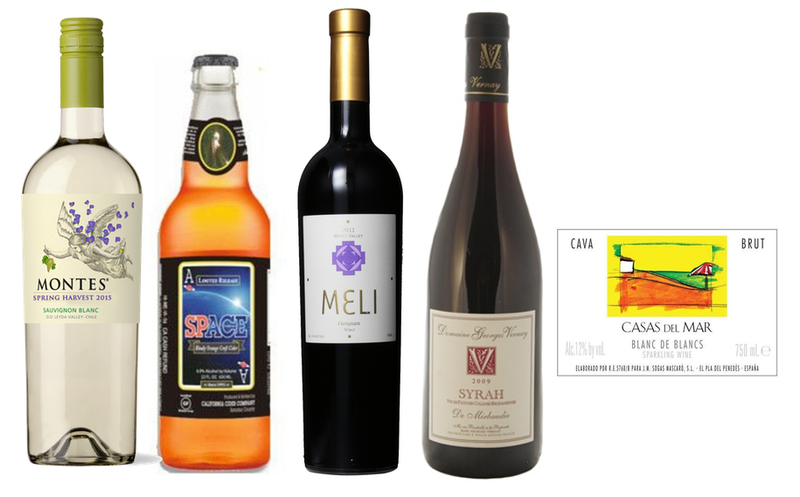 This Meli is produced from 100% carignan fruit. It contains a spicy nose with hints of coffee black fruits, and chocolate with pleasant lighter notes. It is a medium bodied wine with soft fine tannins. It has a long complex finish with notes of cherry and plum. This is definitely something different from The people at Ace. The inspiration for the name and label come from the wife of the owner, Jeffery House, who played a character in the original Star Wars cantina scene and is pictured on the neck of the bottle. This unfiltered cider pours a cloudy pinkish-orange, the taste is tart apple, orange, and grapefruit with a pleasant yeasty note. Reminds me of a blood orange mimosa. This is the first part in a series of posts on, obviously, French wine. How many posts will there be? Well, . . . we’ll let you know when we find out! The truth is that we could probably go on for years about all that is French wine, but we’re trying to be concise here, so we’ll bring you one blog post a week about a different area in France. Our goal is a simple one: to educate you on the beauty of French wines. Anyone that’s ever been to our shop can attest to the fact that we love these wines and we want you to love them too! 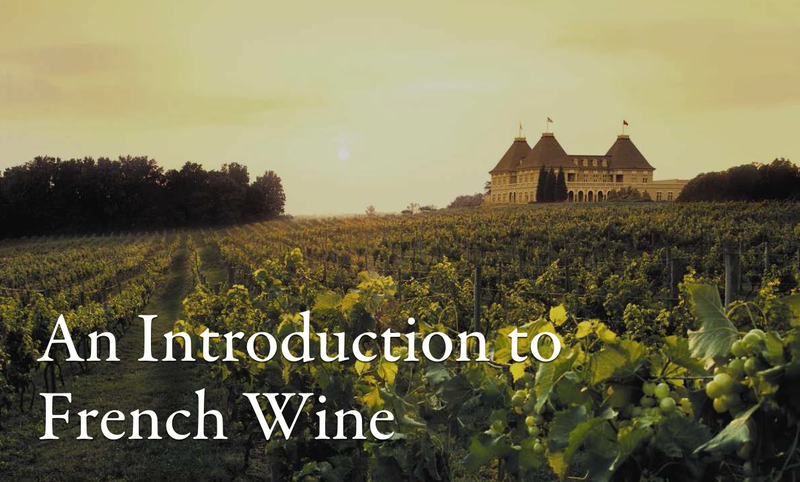 This week, we’ll start by covering a few of the basics about the French wine industry and all of the info you need to know to get started. You have to remember that people have been making wine in France for thousands of years. Even before the Romans invaded, the first grapevines had been planted by Greek explorers and wine was a common drink among the locals. This has given the French plenty of time to come up with complex series of laws regarding wine production and labeling, and understanding these laws is key to understanding French wine. Unlike wines in America, French wines are typically named after the place in which they’re made. For example, when you see a wine labeled Chablis, you automatically know two things about the wine: 1) That is was produced in the town of Chabli and 2) that it’s made of chardonnay, the only grape legally allowed to grow there. The villages where wines are produced are legally defined geographic areas called, in French, an appellation. You’ll see this labeled on a bottle as either AOC (Appellation Controlee) or, more often, AOP (Appellation d’Origine Protegee). Even within a single AOP, there can still be further delineation. For example, a wine from the AOP of Bordeaux could then be listed as being from the district of Margeaux or St. Emillion, and even then, it could be again listed as being from a specific village in that district, such as Soussnns in Margaux. So, what do all of these laws mean for you? Well, unless you’ve been brushing up on your French geography, not much. However, this is exactly why we’re breaking down our future blog posts based on geography. We’re visiting each wine region individually so that, even if you don’t remember exactly where Vouvray is in the Tourinne region of the Loire Valley, you’ll still know that it makes some of world’s most amazing chenin blanc. So, sit back, pour yourself a glass and enjoy!